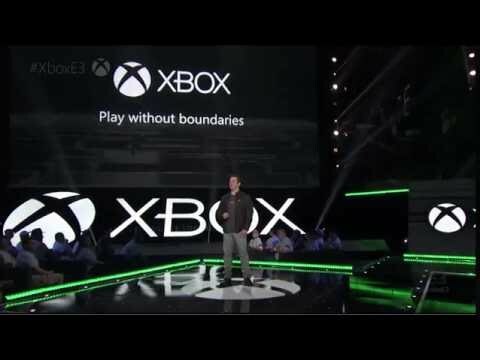 Gamers started to worry when about two minutes of Microsoft’s E3 conference were left and we still hadn’t heard one mention of Scorpio, the “XBox One.5” that everyone knows is humming in a Microsoft R&D lab. Fortunately, they did take those last two minutes to confirm Scorpio with a new trailer. Unfortunately….confirm is all that trailer did. The trailer didn’t confirm anything we don’t already know. Scorpio will support 4K resolution and run VR, but it won’t be shutting out existing XBox One owners because all games will be cross-compatible — they’ll just look a bit better on Scorpio. Microsoft also confirmed the XBox One S (previously the XBox One Slim) this morning. Everything yesterday’s leak said was true, but we now know more: there will be multiple models depending on which hard drive size you want. The cheapest S will come packed with a 500GB drive for $300. A 1TB drive will cost $350 and the 2TB model will cost $400. The S will also introduce a slightly redesigned controller, which can be purchased separately.